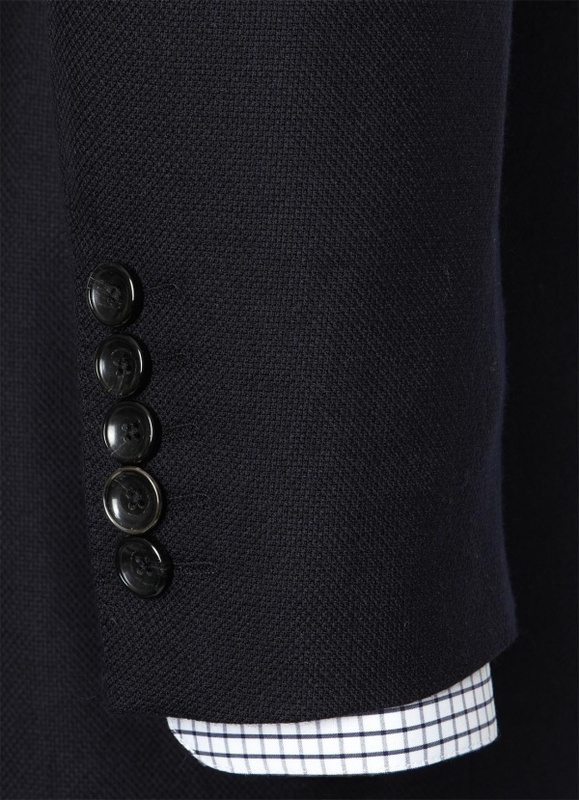 Austin Reed celebrates 110 years of tailoring tradition with a series of 110th Anniversary suits, including this navy textured number. 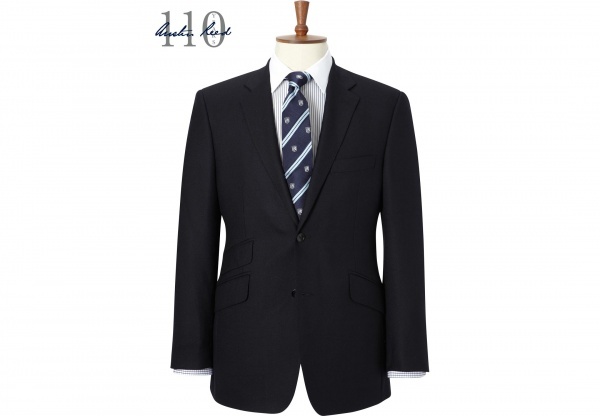 Only the finest British wool is used in the construction of this rich navy colored suit. 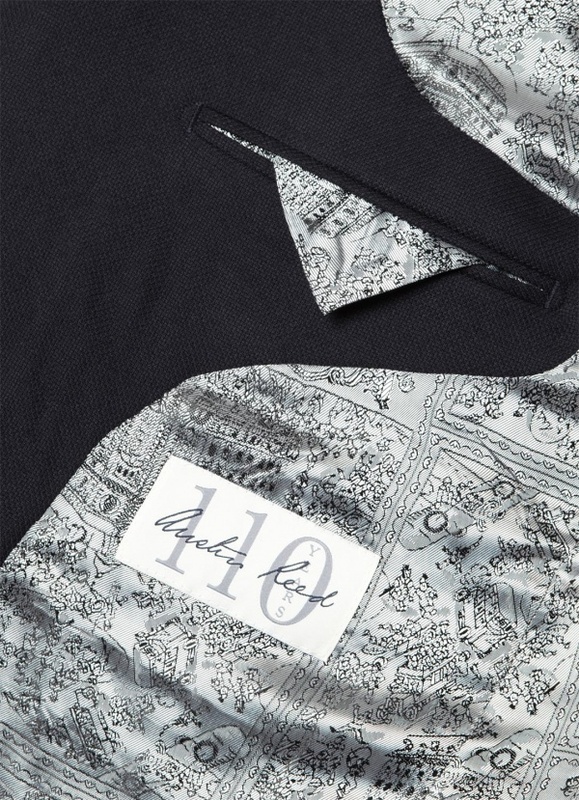 With a two-button, notched-lapel design, and hacked pockets, this is a fine, dignified number with a charming illustrated liner. Available online now. This entry was posted in Suits and tagged Austin Reed, Suit. Bookmark the permalink. I need an advice. 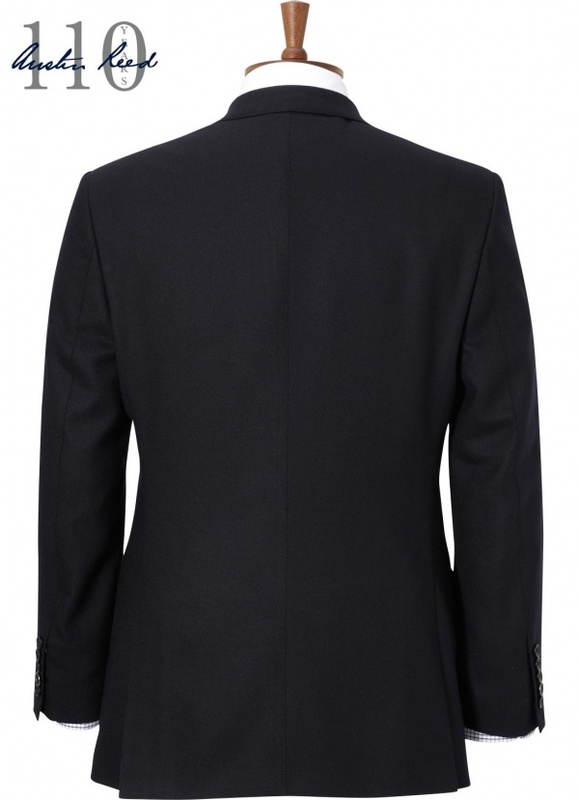 How could I classify the quality of wool for spring-summer suits and winter ones. ? When I am in the store I can feel it but on-line?